We are pleased to feature a guest post by Garrett Gottesman, who is a Third-Year, double-majoring in Media Studies and American Studies with a concentration in Social Reform, and a blogger for The Media Studies Experience. Because I’ve seen messages and artwork come and go almost daily on Beta Bridge over the past three years, oftentimes the words and their meaning are lost on me. But this week, Beta Bridge grabbed my attention and made me momentarily put my day on pause. 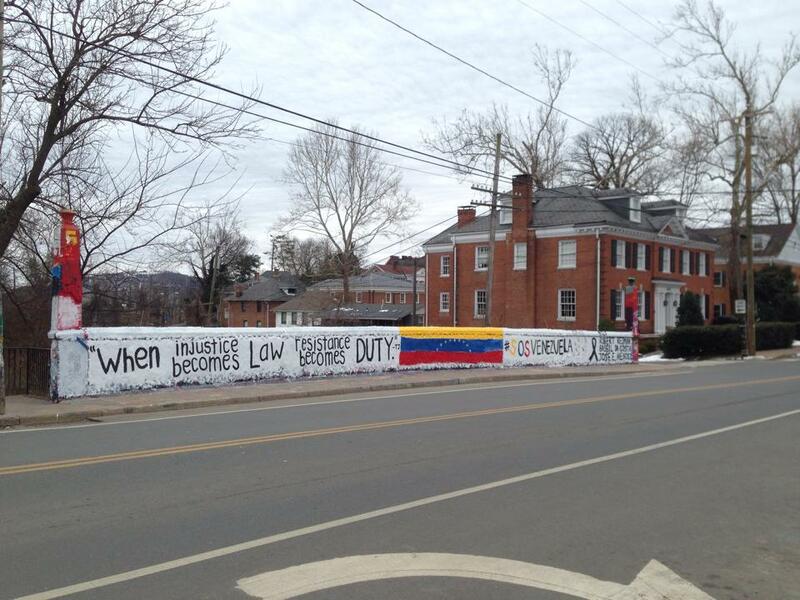 Having followed the news coverage of the political unrest in Venezuela, this visual demonstration arranged by Venezuelan students at U.Va. instantly caught and held my attention. This dramatic appeal resonated with me as images of violence and brutality still lingered in my head from the news the night before. 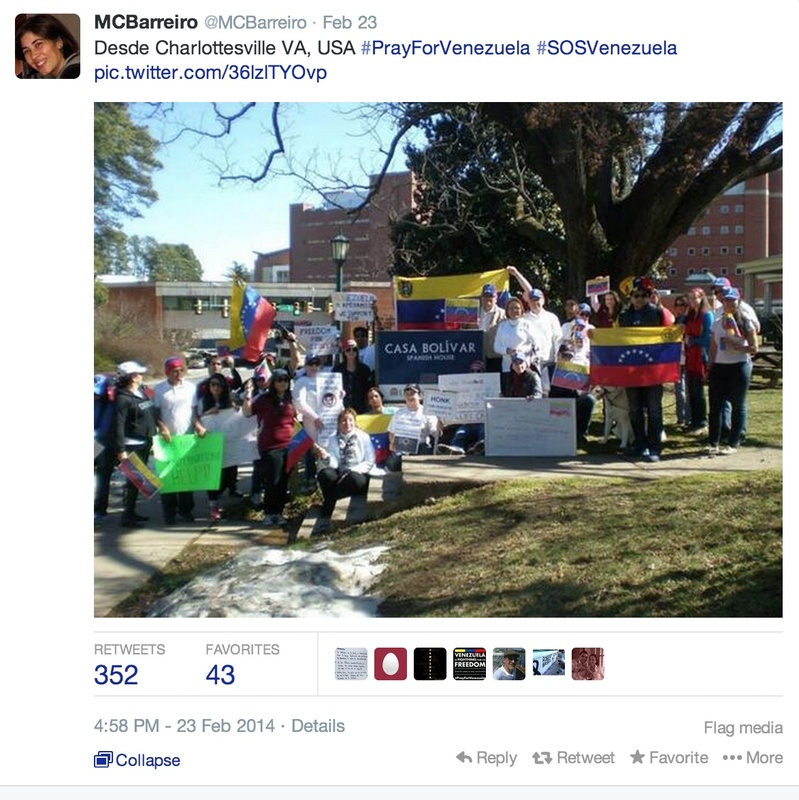 Second-Year Student Henrique Sosa, who is from Venezuela and is a leader of U.Va. students demonstrating support for Venezuela, said that their mission is to increase consciousness about the crisis amongst students and also to send strength to the Venezuelans whose voices are being silenced by the oppressive regime. In addition to accomplishing this mission though, the message also left me questioning the history of Beta Bridge as I realized that I knew so little about it. Paintings on the bridge commemorating students who have recently died, or the “Hoos for Hokies” message after the Virginia Tech shootings are some of the most memorable Beta messages that resonate with the student body. But largely, the free billboard space is filled with birthday wishes and CIO (student group) advertisements. These more common messages go unnoticed; however, the sanctity of this outlet of expression is worth defending. Filled with curiosity of the bridge’s history, I visited Special Collections. There, I found dozens of pictures of the bridge over the last 20 years, as well as two Cavalier Daily articles from the 1980s that illustrated Beta’s history and importance. The March 11, 1981 Cavalier Daily article, “Beta: It’s More Than Just a Bridge” explains the history of the bridge. 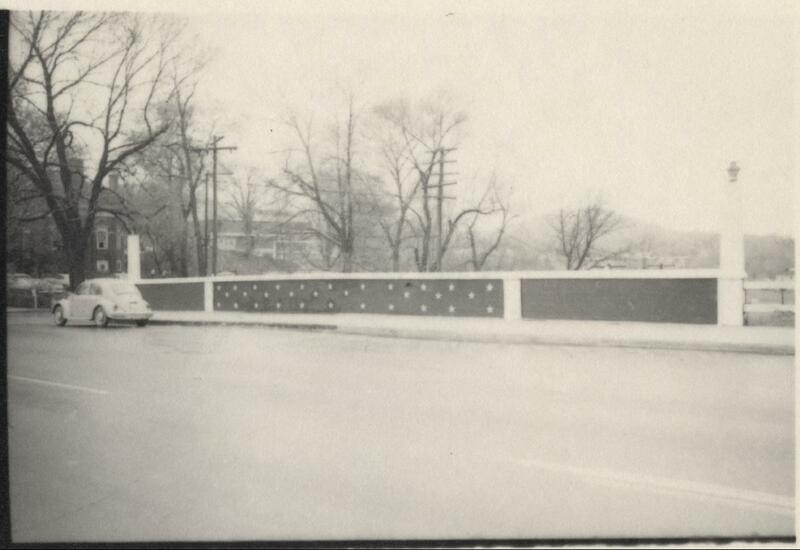 The original wooden bridge was built in 1855 by the Chesapeake and Ohio Railroad Company, who owned the railroad below, but it wasn’t until the 1960’s that painting it became such a part of U.Va. culture. As a matter of fact, it was illegal to paint it before this time, and the marks seldom on it, which were usually sports scores, were done under the cover of the night. This tradition blossomed though, and, by the 1980s, the bridge was painted up to five times a day. Reaffirming my sentiments, the Cavalier Daily articles noted how important this outlet of student expression was. In the September 22, 1986 article entitled “Beta Bridge: Layers of University Tradition Live on Rugby,” former professor Raymond Bice explained, “Once in a while someone paints something that raises eyebrows. But really it’s a harmless activity that is very valuable.” Although the instances that he is talking about are ones like the John Lennon memorial that stayed up for ten days, this act still holds value today as some students use it to reach beyond the University community. The bridge poses as a cornerstone for the symbolic value of student voice, and even though it can often be pointless fun, sometimes its impact leaves a lasting mark on those who see it. This entry was posted in The Media Studies Experience and tagged Beta Bridge, Garrett Gottesman, Henrique Sosa, Raymond Bice, Venezuelan protests by Petrina Jackson. Bookmark the permalink. I am the head of instruction and outreach for the Albert and Shirley Small Special Collections Library.